2013 RUSA Genealogy Preconference“Behind the Genealogy Reference Desk: Chicago Style Genealogy”American Library Association Annual Conference, Chicago, IL The History Section of RUSA is delighted to announce a FREE genealogy workshop to be held on Friday, June 28, 2013 at the Harold Washington Library Center of the Chicago Public Library (downtown Chicago). Sponsored by ProQuest, this all-day event will run from 8:30 am to 4:00 pm. A delicious luncheon is included, along with a free pass to the ALA Exhibit Hall. This can’t-miss program features an exciting line-up of speakers and topics: · “ChicagoAncestors.org – Discover the Past by Address,” Matt Rutherford. ChicagoAncestors.org is a project produced by the Newberry Library and uses Google Maps to help genealogists and local historians discover and share historical information about Chicago. · “And the Rockets' Red Glare: Sources for War of 1812 Research,” Curt B. Witcher, FUGA, FIGS. This presentation will cover both popular and lesser known sources for War of 1812 research, including a close-up look at the War of 1812 pensions being digitized through the FGS Preserve the Pensions initiative. · “Genealogical Education Opportunities,” Elissa Scalise Powell, CG, CGL. Genealogy patron questions are rising. Educate yourself through this interactive workshop to evaluate which learning opportunities are best for your own needs and budget. · “OCLC WorldCat and FamilySearch,” Chip Nilges and Michael J. Hall. Learn how the recent partnership can enhance the research experience from the beginner to the expert. · “Beginning African American Research,” Sandy Joseph. Discover the many African American resources that are available to you and your patrons. To register for this event, please go to https://www.surveymonkey.com/s/WJKYJF2. Attendee information will be sent to you in a private email. If you have any questions, please feel free to contact Michael Hall, Preconference Chair (hallmj@familysearch.org), or Bill Forsyth at ProQuest (william.forsyth@proquest.com). 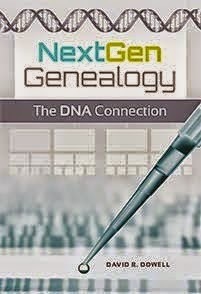 If you are going to be in Chicago area for ALA next month and are interested in genealogy, either for your own research or to help library users do their own, this event can be a great educational resource for you. The cost of this program is underwritten by ProQuest which markets Ancestry Library Edition, Heritage Quest and various other online maps and newspapers databases to libraries and other institutions.